Citrus Aurantium. The orange tree belongs to the natural order Aurantaceae. It is a beautiful plant which gives a refreshing shade in hot climates, and perfumes the air for miles. It is extensively cultivated in every place where there is sufficient heat to bring it to perfection. The supply to this country comes principally from Spain, Portugal, the Azores, and the islands of the Mediterranean. 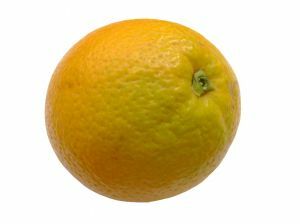 There are several varieties of this species; but they all may be referred to the bitter or Seville Orange. The St. Michael's perhaps, is the most delicious, and this variety is grown largely in Malta and Provence. The juice of the sweet Orange, which consists principally of mucilage, sugar, and citric acid, is one of the most wholesome vegetable juices known. It is very grateful to invalids, especially when fever and thirst prevail. The flowers of the Orange tree are highly odoriferous, and have been long in great esteem as a perfume. They yield their flavour by infusion to rectified spirits, and in distillation both to spirit and water : the bitter matter is dissolved by water, and on evaporating, the decoction remains entire in the extract. On the continent the distilled water is used as an antispasmodic and anodyne; it is extremely useful in hysteria, in doses of one or two ounces. The chief direct medicinal use of the Orange is derived from the rind, and the best for the purpose is the Seville Orange, which yields an agreeable aromatic, stimulant, astringent, and tonic bitter. The rind of the sweet orange may be used, but it is less bitter. A confection, infusion, syrup, and a tincture of orange peel, are all used. It is very often prescribed in combination with stronger bitters, such as Gentian and Quinine, and it forms a good vehicle for disagreeable and nauseous purgatives. A very good infusion may be made thus: 1 ounce of thedry butter orange-peel, nearly one pint of boiling water poured over, the whole to stand for an hour, and then strained. A little lump sugar and lemon juice will make it more pleasant. It is a stomachic; dose, a wineglass full twice a day. Orange Marmalade upon bread is a good breakfast diet for dyspeptic patients. Syrup of Orange is made by infusing 21 ounces of the dried peel in a pint of boiling water for 20 minutes, strain, and add 2 pounds of lump sugar; boil for 10 minutes. This mixed with water, and a little lemon juice, forms Orangeade. It is nice also to mix with punch.